So when I saw a giant, many-tentacled yellow beast of a citrus fruit at a local grocery under a sign that said "FINGERED CITRON," I couldn't wait to get my, er, hands on it. 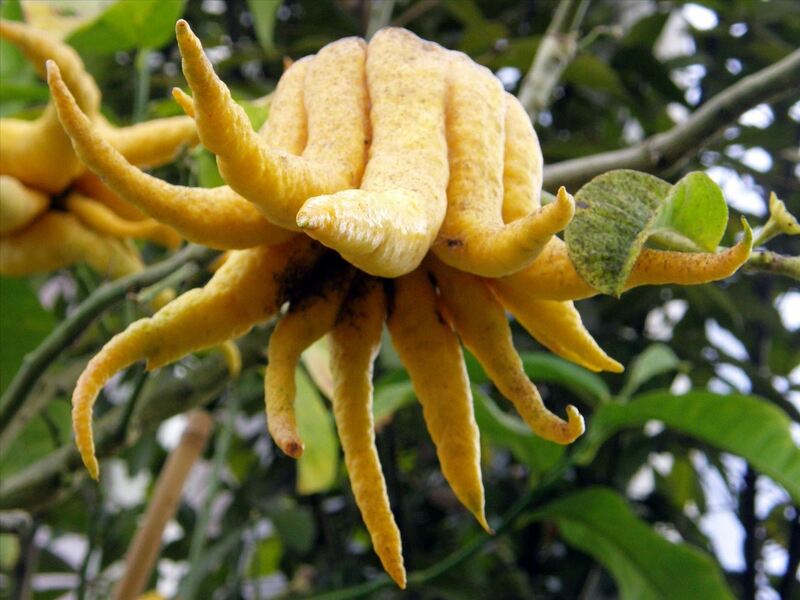 More commonly known as a Buddha's hand citron, (Citrus medica var. sarcodactylis), this delicious-smelling fruit is mostly peel and has little to zero pulp. To be honest with you, when I do splurge on one, half the time I don't even end up cooking with it—I put it in a pretty bowl and just enjoy its heavenly perfume. However, don't let its Freddy Kreuger-like appearance and relative lack of flesh fool you. 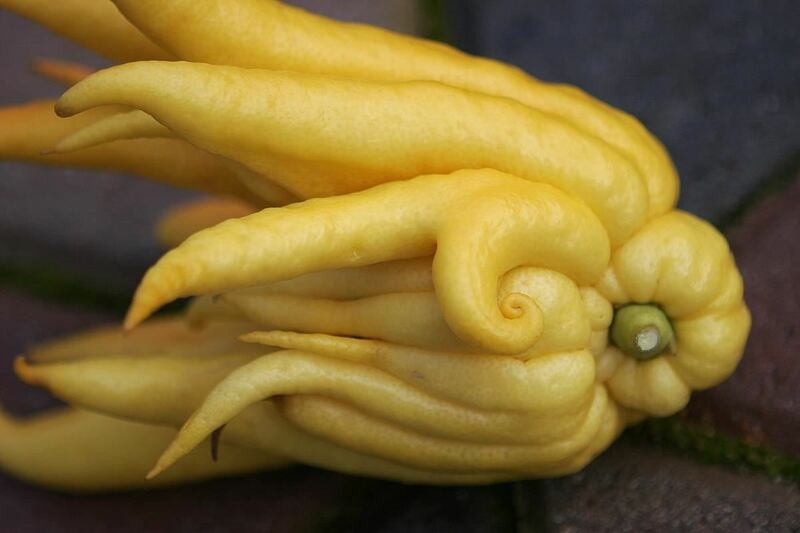 A Buddha's hand citron is wonderful in food. 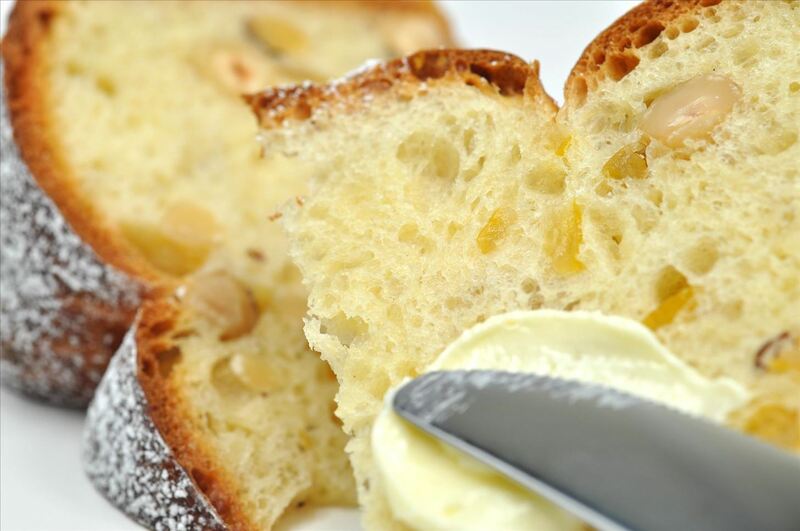 Unlike other citrus varieties, even its pith (the white stuff in between the rind and the flesh) is sweet, not bitter. 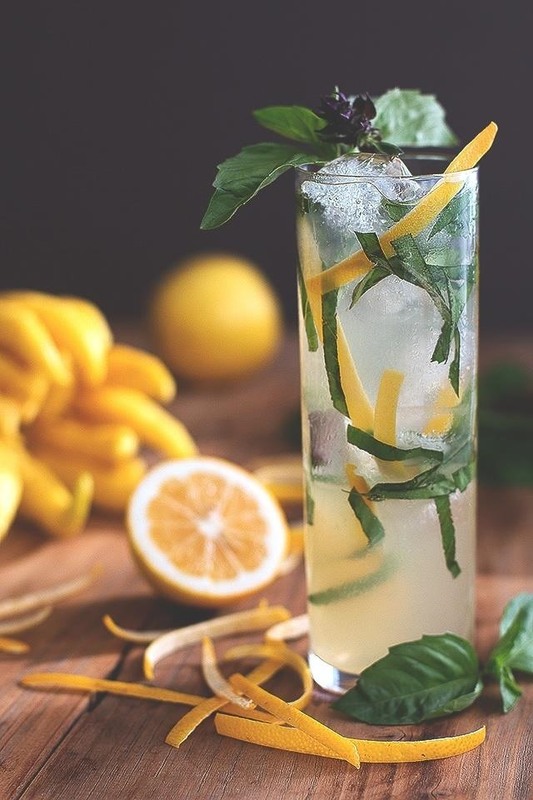 Its smell/taste is a little bit herby and floral, adding lavender-like notes to its familiar citrus flavor profile. Buddha's hands used to be grown mostly as ornamentals, but their popularity is growing, with at least six different varieties currently being grown. In Japan, they're often thought to be bringers of good luck, while in China, they symbolize happiness and a long life. Popular uses for Buddha's hand include using it in drinks, simple syrups, or to make candied peel. You can also eat it raw, add it to vinaigrettes, turn it into jam or marmalade, or zest that whole sucker for use in cakes, cookies, and other sweets. The next time I buy one, I'm going to make an infused vodka. 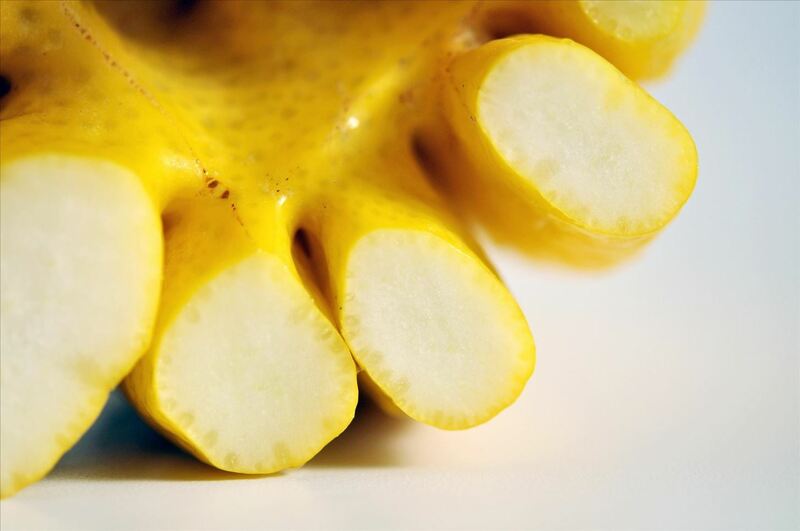 Buddha's hand can be a little pricey (around $25/pound) and they normally peak in the late fall and winter. However, I have seen them pop up during cool-ish summers here in California, especially at good farmer's markets. If you see one, don't shy away from their tentacles—at the very least, lean in and give them a whiff. You'll be better for it. 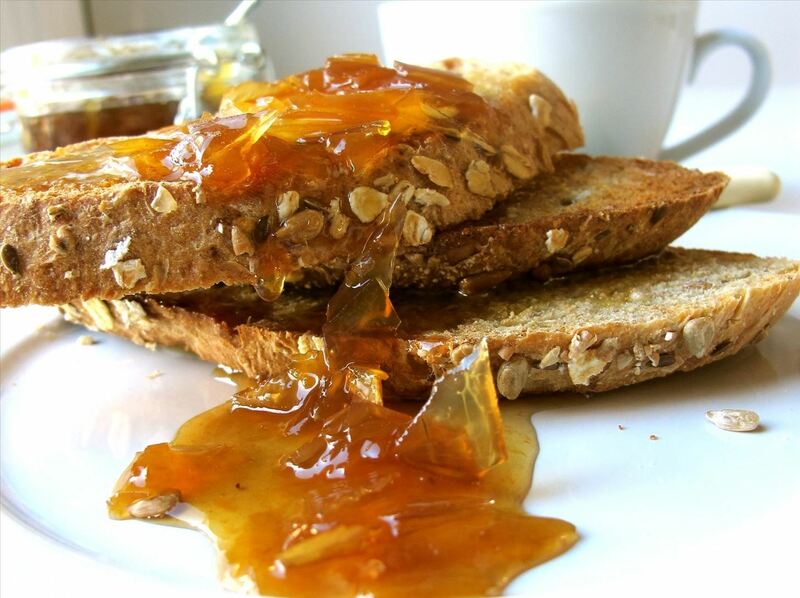 Expand your palate (and your mind) with more wonderfully weird ingredients. Dragonfruit looks gorgeous and intimidating, but is actually quite pleasant to eat. Meanwhile, finger limes, the caviar of citrus, will put a smile on your face. 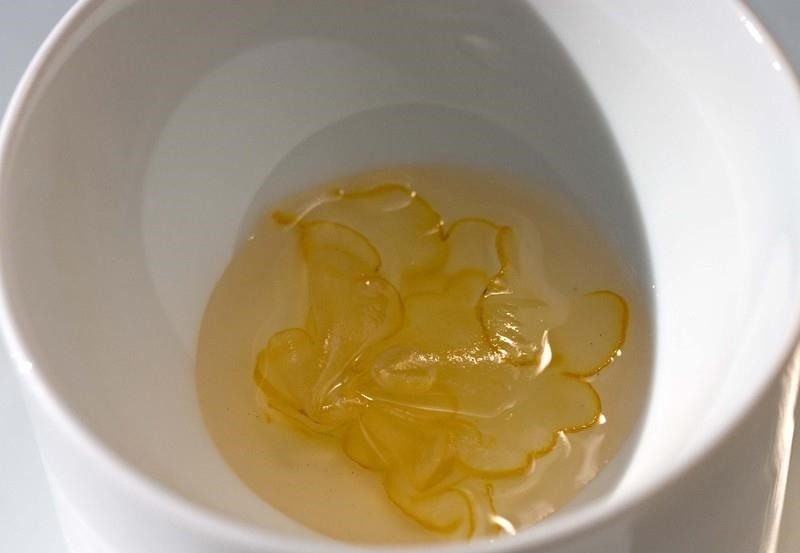 And if you want something truly shocking, bite into these edible flowers, which will give you a buzz. Thanks, Karen. I am here in Vietnamfor vacation seeingthese verywhere but were clueless of how I would devour them.